Sponge filter is the most basic, inexpensive and under rated filter available. It uses a sponge through which the water passes through by rising bubbles by an air pump. 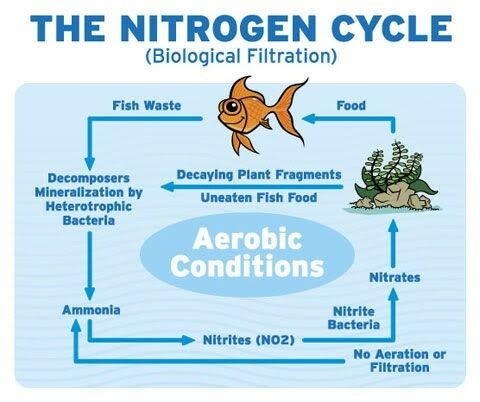 It acts mechanically and is an excellent biological filter which cleanses the water by lowering the amount of organic material being broken down in the nitrogen cycle. You may use this when breeding and rearing small fishes. This type of filter is an exceptional complimentary filter to sponge and any other filters out there. However they are not commonly use although costs less than the expensive and bulky canister filters. It uses an electrical pump to draw water through the filter material which is normally sponge. You may attach filters of varying capacities that you can find in stores depending on your preference. Internal power filters apparently create more circulation than air-powered filters and are generally good for mechanical and biological filters. These filter works best in a 2ft. - 4ft. sized aquarium and found to be more effectual when used with canister filters for large aquariums. When you combine internal power filters with under gravel filtration provides extra benefits from mechanical filtration. Can be used primarily in small aquariums under 60 gallons and can also be used as a secondary filter in larger aquariums. 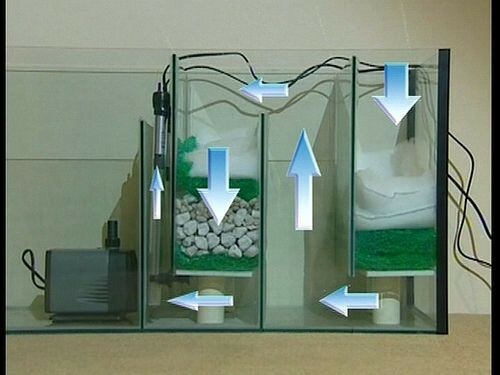 You may use a low-tech corner filters that are placed at one corner of your aquarium or may be stick unto the glass. Corner filtration works well in all three kinds of filtration though frequent maintenance is needed. The good news is you do not have to change the entire filter material but only change the carbon and part of the filter material. Another is the under gravel filters which are commonly found together with the “beginner’s aquarium kits.” This filter has been used for many years now and is efficient with mechanical filtration. The method is to draw down the unwanted water particles from the tank into the gravel where it can be trapped that is why biological filtration is the suitable means of cleaning your water. Water slowly flows through it and then pushed back up through the tube at the back of the tank by using an air pump or power head, where chemical filtration will take place using the activated carbon on the top of the tubes. Power heads promote faster and stronger circulation. Unfortunately, this type of aquarium filter has its disadvantage. It is difficult to thoroughly vacuum the gravel this way and may produce harmful gas pockets coming from under the gravel plates which may bring harm to your fish collections. Box filters comes in different sizes from small to medium size tanks and are air powered. It is the airflow that draws water through the filter. Filters External canister filters provide the same principle with internal power filters, only they are installed outside the fish tank and draw its water through an inlet tube down to its filter and flows back water via another tube. These tubes are then fitted into a spray bar to increase aeration. This canister filters are particularly used in larger aquariums in most cases because of its large capacity to hold organic sludge. They have the ability to hold different filter media altogether and works extremely well with mechanical filtration. This ability to hold large capacities of organics turning them into a factory of nitrate which caught aback by many aquarists. Unless regularly serviced then it is definitely the best choice among other filters.